Here is something really special for your bed!! 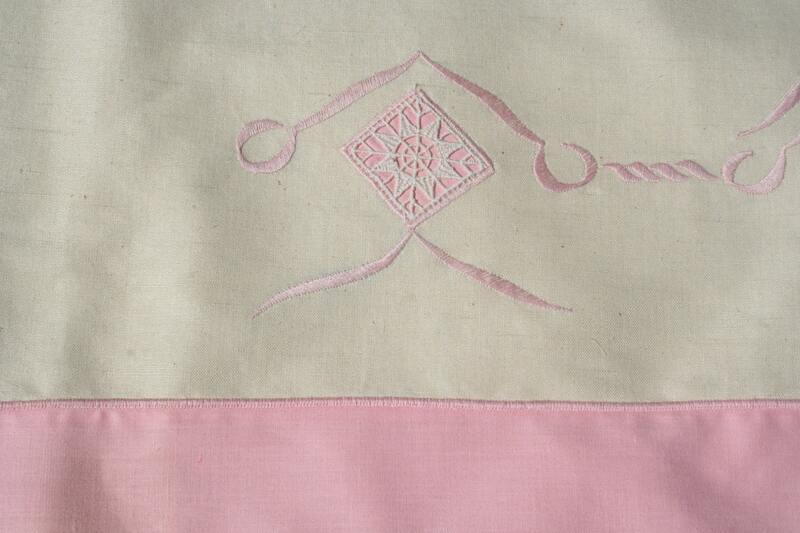 This is a vintage French embroidered cream flat sheet with darling pink embroidery and lace inserts. I believe this sheet is metis - a cotton and linen blend. It has never been used! This set simply needs a soak to freshen and it's ready to enjoy! Measurements are 91 inches wide by 104 inches long which will fit a queen size bed. 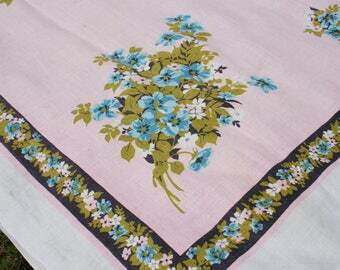 It's hard to find unused vintage French sheets. Don't let this one get away!! As I mentioned above these have never been used and they've never been washed. They have a fair bit of sizing in them and I've found in the past that it takes two washes to get all that sizing out. There is some faint discoloration on the sheets typical of storage staining. It should all come out in the wash.